A refreshing drink anytime of the year! 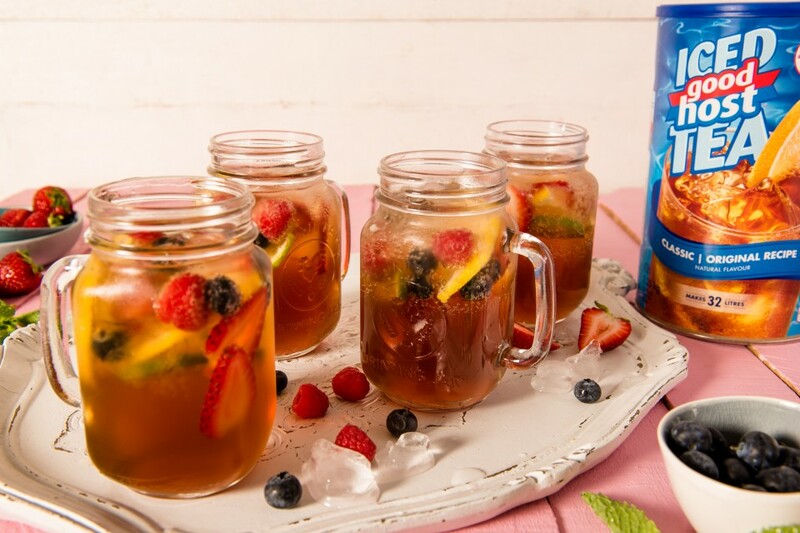 Place GoodHost iced tea powder in a large punch bowl or jug and slowly add sparkling water. Stir until powder is fully dissolved, add berries and lemon and stir again.